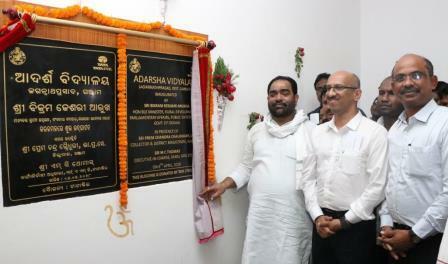 Bhubaneswar: The Adarsha Vidyalaya (Model School) at Jamagaroda of Jagannath Prasad Block in Ganjam district was inaugurated by Parliamentary Affairs Minister Bikram Keshari Arukh on Friday. Spread across 25000 sq feet area, the school has been built by Tata Steel. Besides, the foundation stone for another model school was also laid by Arukha at Malaspadar of Bhanjanagar Block of the same district. 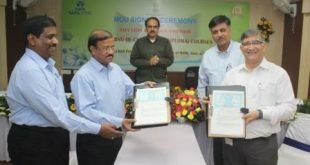 Commending Tata Steel for the initiative, Arukha said, “I am hopeful that these Adarsh Vidyalayas would usher a new beginning for educational growth of interior areas of the State by bringing quality education and infrastructure to the rural students”. Present on the occasion were Jitendra Keshari Arukh, Vice-Chairman, Bhanjanagar Block, Sanatan Panda, District Education Officer, Ganjam, M.C. Thomas, Executive In-charge, Ferro Alloys and Minerals Division, Tata Steel, Manikanta Naik, Chief Resident Executive, Tata Steel, Bhubaneswar and Sanjeev Jha, Executive In-charge, JUSCO. Speaking on the occasion, Thomas said ‎that Tata Steel believes in the philosophy of inclusive growth of its communities. 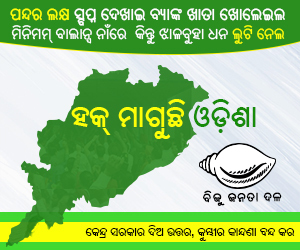 In keeping with its commitment for 30 Adarsh Vidyalayas in Odisha, the company has handed over 10 schools including the present one to the government authorities and intends to hand over two more schools shortly. 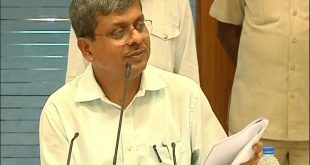 In the meanwhile, work on 10 more schools is planned, he said. The school, built at a cost of Rs 4.5 crore, is equipped with almost all modern facilities and infrastructure including a dedicated computer room, furnished library, advanced laboratories, staff room, principal’s chamber, prayer and assembly point and separate washrooms for girls and boys on each floor, etc. 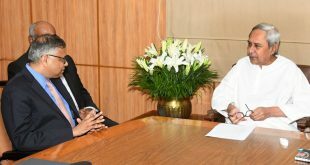 In order to make quality infrastructure available to students in far-flung areas in the state, Tata Steel had signed a Memorandum of Understanding with the Government of Odisha to construct 30 model schools at an estimated cost of Rs 136 crore across the state in 2016. 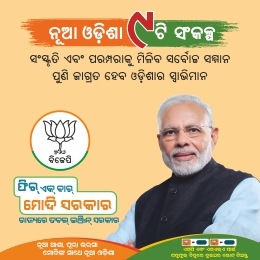 This initiative by the steel major is part of the Government of Odisha’s grand plan of setting up Adarsha Vidyalaya (Model Schools) in each block in the state. Earlier nine model schools at Danagadi, Kamakhyanagar, Nayagarh, Korei, Dasarathpur, Dharmashala, Jajpur, Hatadih and Bonaigarh Blocks, built by Tata Steel, were handed over to the state government.